Earlier in the term, children in Year 3 wrote to their favourite author with the hope of receiving a letter back. 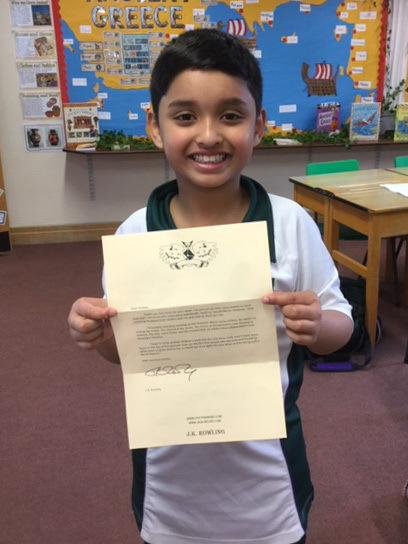 This morning, Aydaan Chowdhury was delighted to learn that he was the first student to receive a reply. 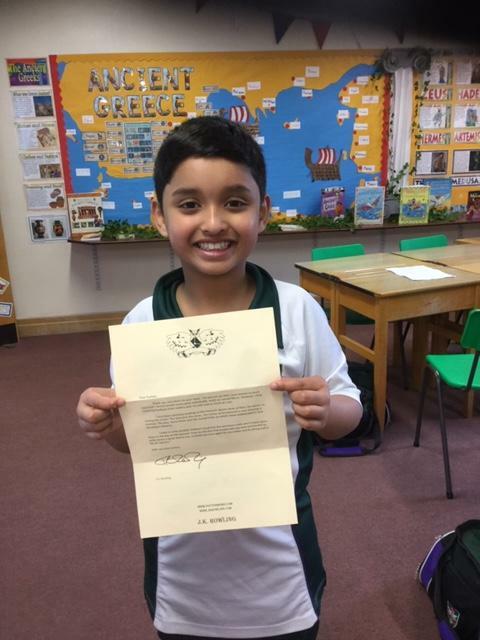 He enjoyed reading his personal letter from JK Rowling. We now hope the postman will be delivering more letters to Year 3 very soon!